Long-time friends and music partners Tim DuBois and Scott Hendricks induct Restless Heart into the Oklahoma Music Hall of Fame. The duo, whose friendship dates back to their days at Oklahoma State University, formed Restless Heart more than 30 years ago. 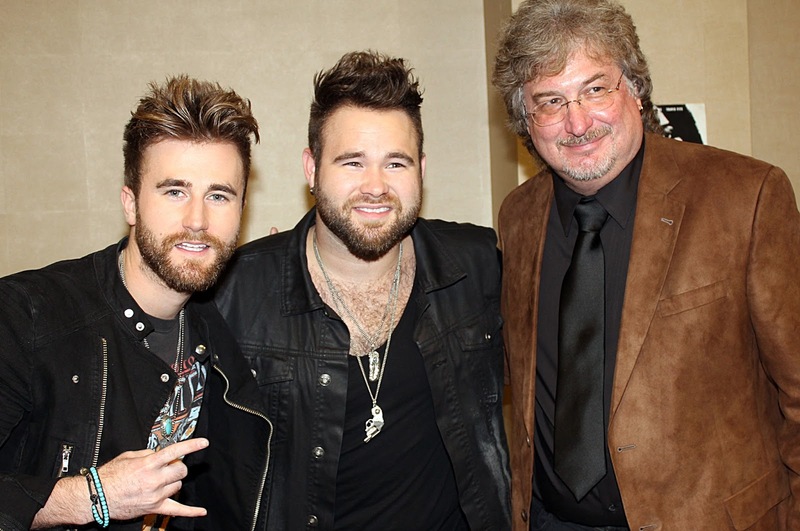 Tim DuBois (center) celebrates at the Oklahoma Music Hall of Fame with his family. 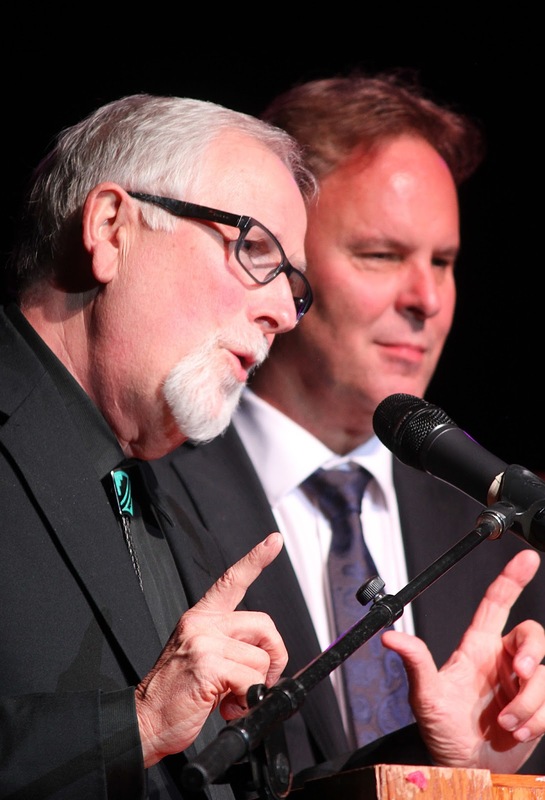 Steve Ripley inducts his long-time friend Tim DuBois into the Oklahoma Music Hall of Fame. Ripley and DuBois' friendship dates back to Stillwater and their days at Oklahoma State University. Tim DuBois and Scott Hendrix listen to Restless Heart with their families during the induction ceremony concert. Greg Jennings with Restless Heart takes a moment to visit with two of Oklahoma's newest musical stars, Zach and Colton Swon, who appeared on The Voice. 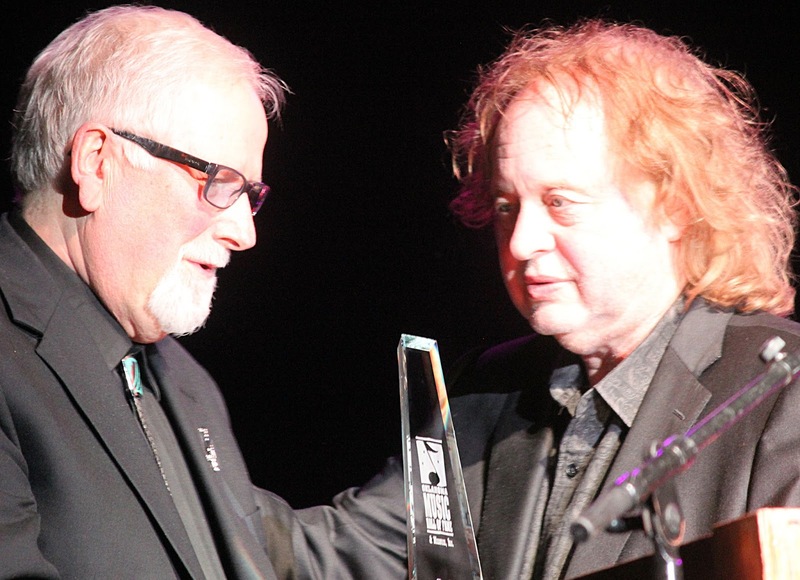 Restless Heart performs Friday night in Muskogee at the 2015 Oklahoma Music Hall of Fame induction ceremony concert. 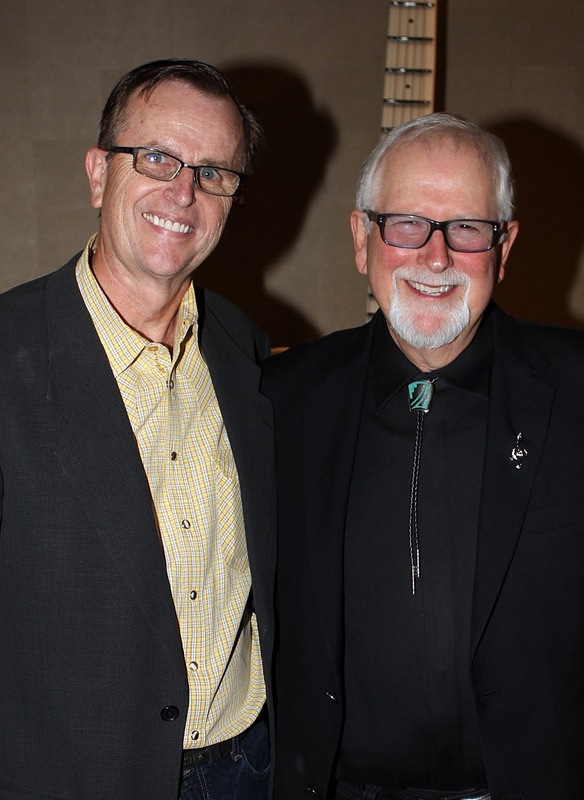 Tim DuBois celebrates before Friday's induction ceremony with Jim Blair, executive director of the Oklahoma Music Hall of Fame. Becky Hobbs performs a song from her musical Nanyehi during the induction concert for the Oklahoma Music Hall of Fame. The musical will return to the Hard Rock Casino in Tulsa in November. Les Gilliam and Smiley Weaver share a hug as Gilliam helps induct Weaver into the Oklahoma Music Hall of Fame. 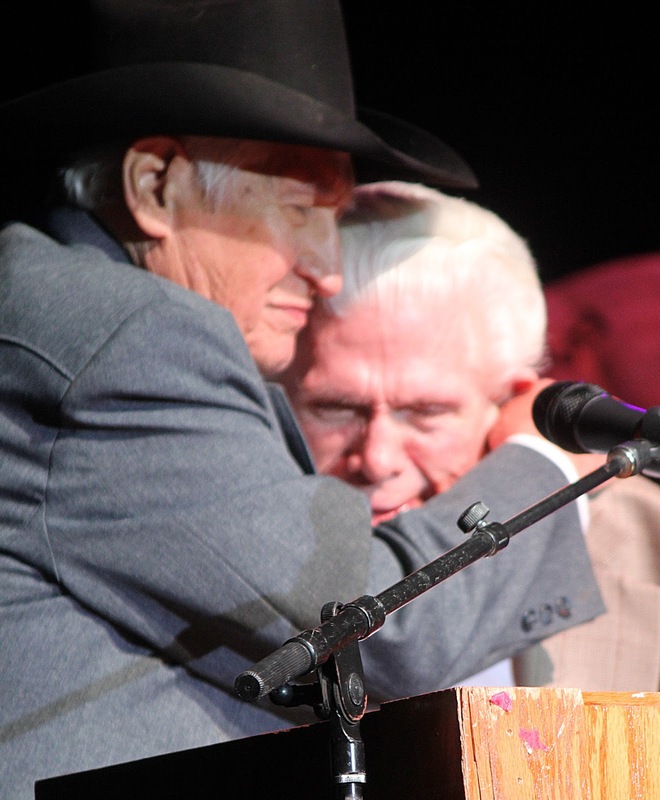 The pair have been playing music together for decades. Alaska and Madi were among the Oklahoma musicians who attended the induction ceremony and concert. 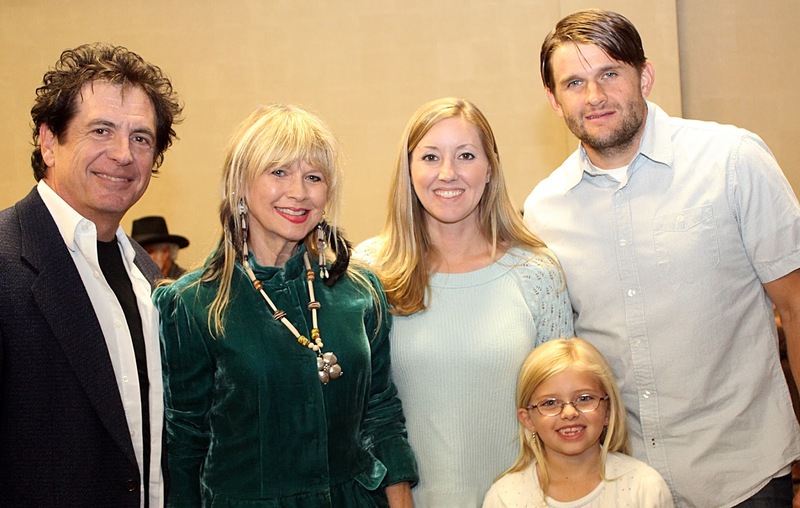 Becky Hobbs (center) one of the newest members of the Oklahoma Music Hall of Fame celebrates during the pre-induction ceremony reception with members of her family. 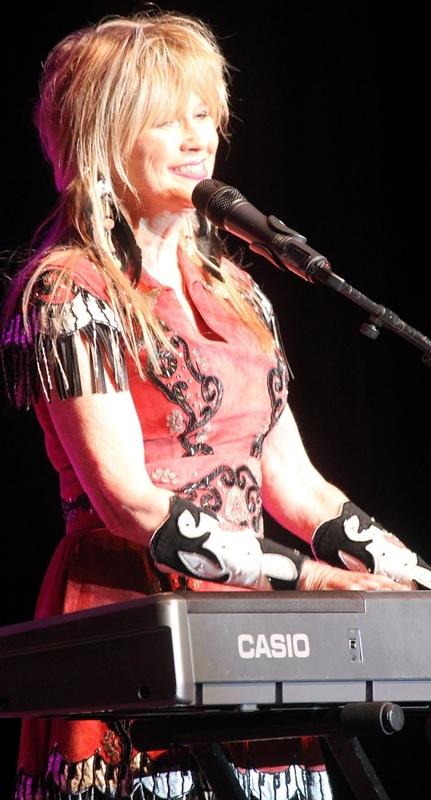 Hobbs created the musical Nanyehi-The Story of Nancy Ward, in addition to her multiple music country honors.